Planning your next trip to New South Wales? 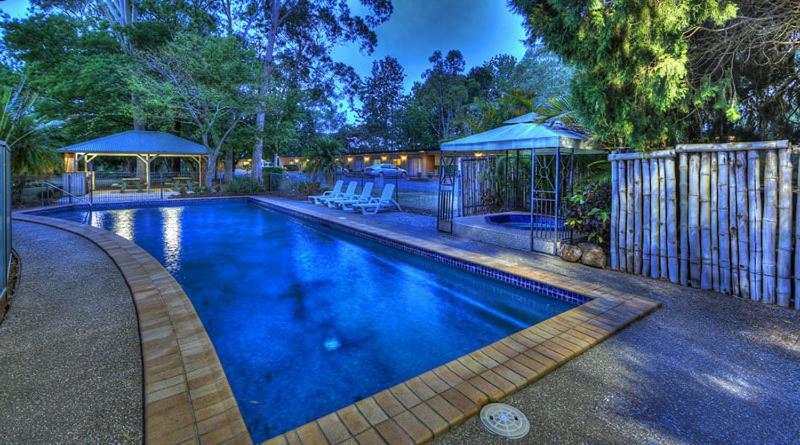 Taree is the ultimate location to stay and this lodge will give you the perfect place to stay. All Seasons Country Lodge is economical accommodation that is the greatest for your accommodation needs. Featuring an outdoor pool, spa and barbecue area set in lovely gardens, All Seasons Country Lodge is just 7 minsâ€™ drive from Old Bar Beach. Free Wi-Fi and satellite Television are included. All rooms are air-conditioned and have a microwave, fridge, kettle and tea/coffee maker. Each room also has a work desk and flat-screen Television. PJ’s Bar and Restaurant is a great place to enjoy a casual meal. Start your day with a delicious breaky or enjoy an evening meal with friends. All Seasons Country Lodge Taree is 5 minsâ€™ drive from Taree Train Station, and 10 minsâ€™ drive from Manning Entertainment Centre. Taree Airport and Wallabi Point Beach are each a 25-min drive away. Guests can relax in the sauna, or prepare a tasty meal in the barbecue area. The property also offers complimentary on-site parking for cars, boats and trucks. This property has been online since Aug 23, 2011.